The Shakespeare Birthplace Trust's collection demonstrates William Shakespeare’s legacy on our world. It includes some of his most famous books and early quarto editions of Shakespeare’s plays published during his lifetime, as well as later editions, periodicals and complete works. Keepthinking were tasked with designing and developing the digital platform for their online collection. The website includes over 200,000 objects in the collection spread over four archive sections developed and managed in Qi. The collection is divided into four categories: Museum, Archive, Library and RSC performances. Clear separation of content and search tools enables a seamless browsing experience, as well as a 'Favourites' section giving contextual information on some of the collections most valued artefacts. The concept to enable relationships between content crossing different sections of the collection and the subjects / people involved enables the user to discover and reach more through browsing. Clear hierarchy of content and accessibility enabled a friendly and practical approachability for both expert and novice level users. 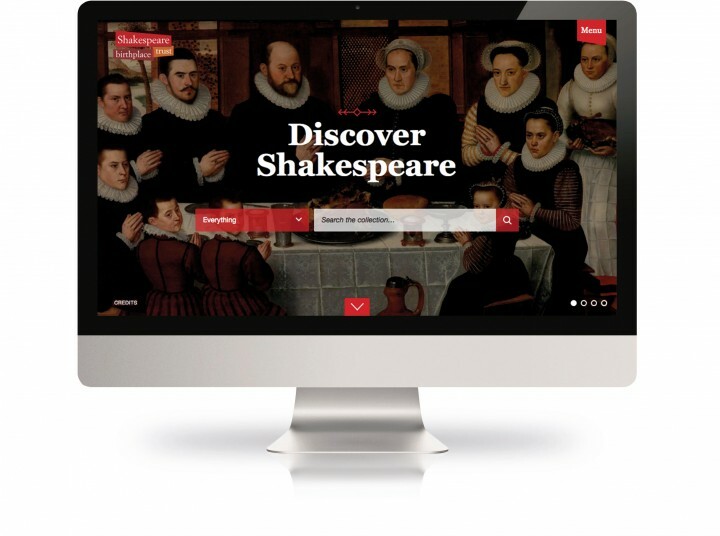 Fully responsive templates for desktop, laptop, tablet and mobile with a visual design intended to represent context to Shakespeare's time helped the Trust to communicate its collection.